AT&T today wrote a blog post detailing a proposed project involving something called a Flying COW. And no, it’s not a nursery rhyme book. COW stands for Cell on Wings, which is the company’s new drones initiative to bring LTE service to high volume areas like concerts, festivals, or disaster sites post-emergencies. 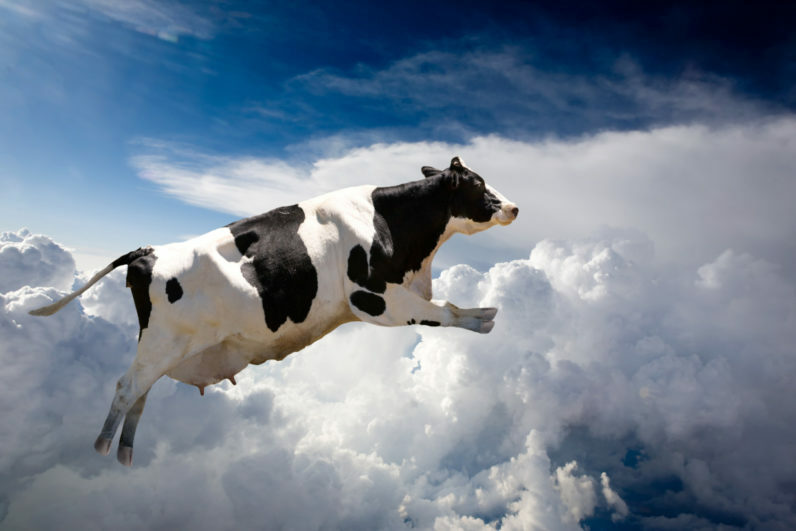 “A Flying COW may even be able to provide coverage when a vehicle is unable to drive to a designated area,” the blog post says. AT&T says it is currently researching how to use drones to send large amounts of data in real-time and will trial the program nationally this week. Unlike traditional signal boosters, AT&T believes drones can be deployed more quickly and brings expanded service exactly where it’s needed. This isn’t the company’s first use of drones – previously, drones were employed to inspect cell towers and quickly transmit data to the team so it expedite the maintenance process.